So you need a suit. It needs to be smart, functional, fit for purpose, and, oh yes, needs to make you look and feel like a film star. It’s a straight forward ‘ask’ really. Isn’t it? 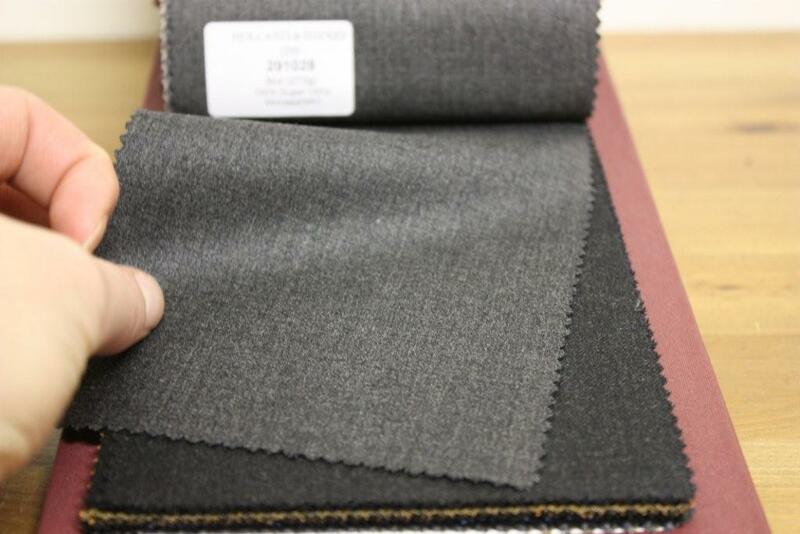 When you buy Bespoke or Made to Measure, the tailor’s job is to make you look a million dollars, but your task is equally as important, to choose the cloth. 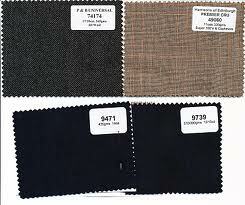 Choose a suit cloth in the morning. The light is better. It’s also good to ask to see the cloth bunch outside and away from artificial light. It’s worth noting the change of character a cloth has in artificial and natural light. When you’re selecting from a bunch, bear in mind that when a suit is made up the cloth will appear lighter because you’ll be seeing it on a bigger scale. Think about this particularly if you’re considering light greys and blue blues. Neither you or your tailor wants an “Oh-oh” moment. There is a lot to be said for choosing a cloth as heavy as you can bear. A tailor will tell you this because it helps with the way the suit drapes (hangs) and ultimately looks. However, be practical. Your suit needs to serve it’s purpose. Finally, while perhaps not quite as important but useful, have a rough idea of what you are looking for before you set off. Some tailors will have upwards of 4,000 cloths to choose from and you might soon become the kid in a sweet shop. What are you going to wear it for? Cloth is defined by it’s weight, and usually in ounces. If in grams simply divide by 30 to get the weight in ounces. As the years have gone by, suits have become lighter and demand for the big hitters (18/19oz) has dwindled. 7oz – 9oz is a light weight, great for the height of summer here in the UK and other hot climates abroad. 9.5oz – 11oz is a light to mid weight. Good for the cross over seasons. Moving from Spring to Summer and late Summer to Autumn. 11oz – 12oz is a mid weight and my favourite weight. Perfect for the majority of the year – perhaps 9/10 months of the year. If you’re starting to build your wardrobe, there is no better weight to start with. 12oz – 13oz is still a mid weight but with more of a punch. A sound option for about 8 months of the year, it’s another all-rounder, a little heavier but still an option you will get a lot of wear from. 14oz –19oz is a heavy weight. As mentioned, there is less called for these weights. A tailors dream because they make up so well, these weights are nothing nicer on a cold Autumn or Winter’s day. 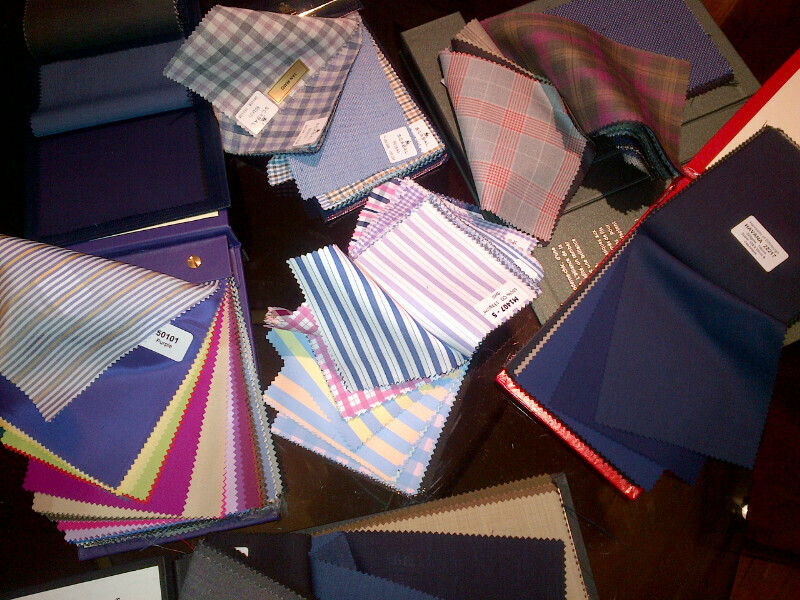 As a rule of thumb, if you’re in any doubt of your selection, ask for some swatches, go home and have a think. 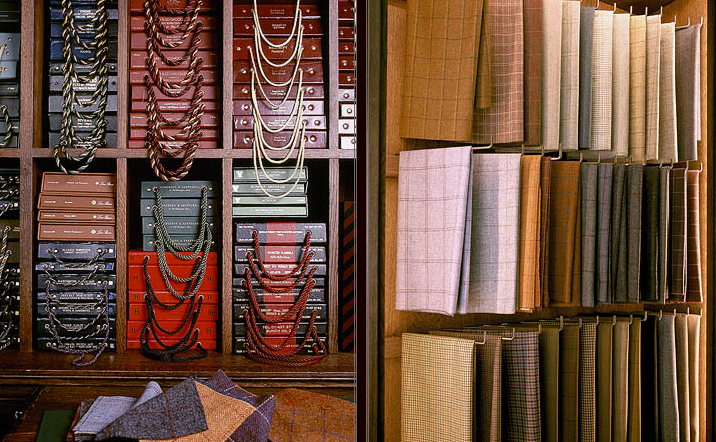 A Bespoke or Made to Measure suit is a big investment, so take your time in choosing. You can even ask me if you like! And of course it has to be wool!